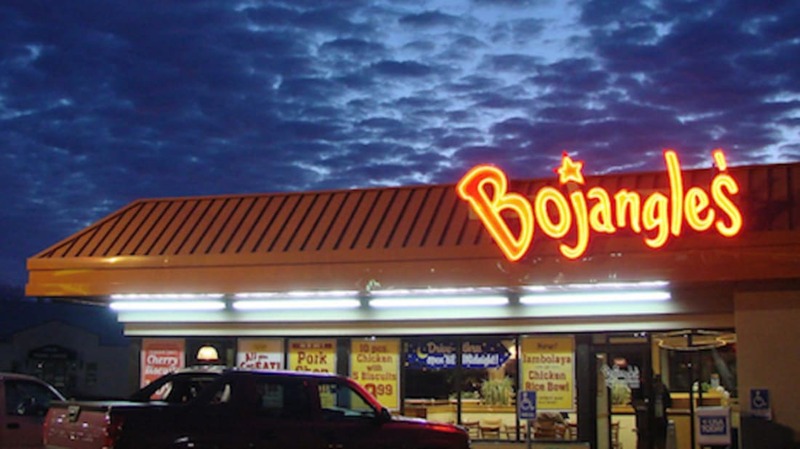 Sure, Bojangles’ might only exist in 11 states, but it’s become the stuff of legend—from their flaky biscuits to spicy Cajun chicken to breakfast all day, their fans span the country. 1. THE FOUNDERS WERE NO FAST-FOOD ROOKIES. Before starting Bojangles’ in 1977, the co-founders had plenty of experience. Richard Thomas worked his first food-service job at 10 and then owned several KFC franchises in Michigan before becoming President of Operations of the Kentucky chain. Jack Fulk perfected making biscuits while he owned a Hardee’s franchise in North Carolina, where he would get in trouble for tinkering with the corporation's recipes. His personal biscuit recipe was so good, in fact, that sales jumped 60 percent when he and Thomas added them to the Bojangles' menu. 2. THEY AREN'T KIDDING WHEN THEY SAY THEIR FOOD IS MADE FROM SCRATCH. 3. THEIR BISCUIT PROCESS IS NO JOKE. 4. YOU WANT SOME CASH WITH THAT CHICKEN? This summer, a Bojangles' customer got far more than fried chicken in his take-out box—it was also stuffed with $4,500 cash. He returned the money and receipts, and then complained that the company wasn't gracious enough. He received a $100 Bojangles' gift card as a reward. 5. BOJANGLES' GIVES BACK TO THEIR EMPLOYEES. In 2011, the company set up a scholarship foundation in memory of co-founder Jack Fulk, which gives $1,000 academic scholarships to 10 employees or their family members each year. 6. THE YANKS ARE MISSING OUT. Bojangles' opened a location in New York to much fanfare in 1982. Their New Yorker write-up was a minute-by-minute rundown of their record-breaking first day—but the store shut down after the company’s 2007 acquisition by Falfurrias Capital Partners because it was the sole location in the North. The company did send 100 executives and employees to Times Square to hand out free breakfast this spring though when Bojangles' went public. 7. DO THAT EGG BACON CHEESE. You know any fast food joint with fan-made music videos has to be good. Durham, N.C. rapper J Steez loved their breakfast menu and sweet tea so much, he wrote a whole song about being "BOJ Gs." 8. BOJANGLES' IS ON THAT SPORTS WAGON. 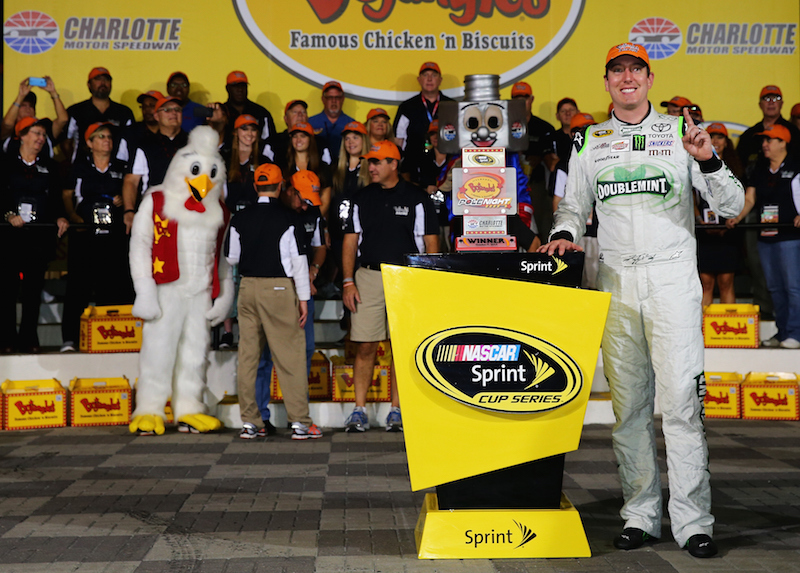 Not only did Bojangles' buy the naming rights to the Charlotte Coliseum, they also sponsor NASCAR’s historic Southern 500 race, held every Labor Day weekend in South Carolina. 9. NEW YORK IS TOO FAR FOR A LOCATION, BUT HONDURAS HAS HOW MANY? Honduras is home to not one, but two Bojangles' locations, and surprisingly, the one in Coxen Hole on the island of Roatán was named one of the best places to eat by Fodor’s Central America Guide. 10. FOR A SOLID DECADE, SPICY CHICKEN WAS THE ONLY OPTION. Their original recipe was spicy, and they didn’t launch the mild version until 1986. And when they did, they did it with this oh-so-1980s commercial.